When he mapped out what he'd like to achieve in his NHL career, Alex Pietrangelo hoped to become a dependable defenceman in all areas of the game. Less than 100 games into his big-league life, he's already achieved what he set out to do. He was the fourth overall selection in the 2008 NHL Entry Draft, a highly-touted blueliner who brought skill, leadership and a veteran mentality to the rink. 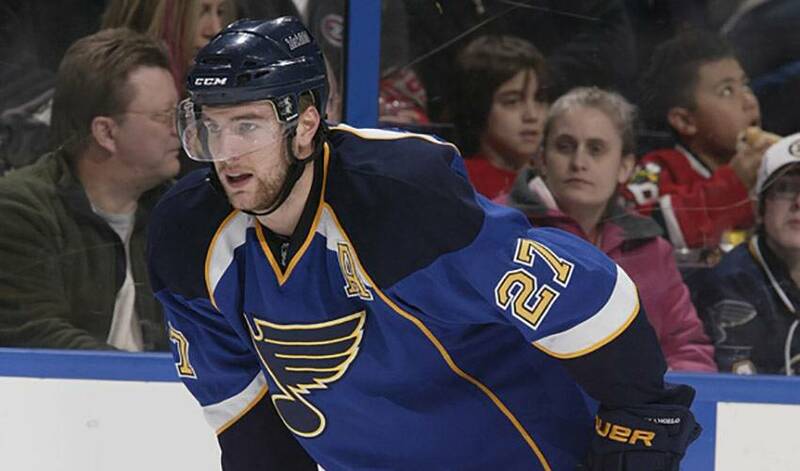 After appearing in 17 games with the St. Louis Blues from 2008-09 to 2009-10, Pietrangelo was given an opportunity for full-time duty with the Western Conference club last season. The 21-year-old, who took a few years to develop his love for hockey, didn't throw away the chance he was given, appearing in 79 games, scoring a team-best (for defencemen) 43 points. That wasn't his only eye-catching statistic. He also led team defencemen in plus/minus (+18), shots (161), while ranking third in average ice time per game. “I love to play the power play, but offence is one of my upsides,” said Pietrangelo, who played with the Niagara IceDogs and the Barrie Colts of the Ontario Hockey League (OHL) during his junior career. Or a great thing, if you happen to be a Blues fan. Despite his age and NHL experience, Pietrangelo, who has drawn comparisons to veteran defenceman and former St. Louis standout Chris Pronger, has already stamped himself as one of the game's rising stars on the blue line, a key part of a St. Louis team that has won seven divisional titles in their history, but no Stanley Cup championships. His commitment to self-improvement is more than evident in any conversation. It's definitely helped Pietrangelo in the short term. Having played for Team Canada has also helped shape his game. Pietrangelo has been part of Canadian squads at both the junior and senior level, including a gold medal win with Canada's under-20 team at the 2009 World Junior Championships. He was named Best Defenceman at the 2010 World Junior Championship and 2011 Men's World Championship. He points to his development in junior as having a major impact on his growth into a full-fledged NHL player. That simplicity has paid dividends for both Pietrangelo and the Blues, who will look to crack the top eight in the West in 2011-12. Last season, St. Louis recorded 87 points, to finish fourth in the Central Division, leaving them on the sidelines for the post-season. The last time the Blues made a playoff appearance was in 2008-09, when they were swept in four games by the Vancouver Canucks. Pietrangelo is hoping the team's mix of youth and veteran talent pays off with a shot at contesting for the Stanley Cup. You can bet the Blues are thinking the exact same thing. As for what made his Top 5, the St. Louis netminder chose a pair of cat-related masks, one that featured a bird and two other eye-catching creations. New St. Louis Blues forward Jordan Nolan enjoys a different kind of family vacation in the summer. Check out these five big-time backstoppers (currently active with 30+ starts) who showcase some serious talent when it comes to keeping the puck out of their net.